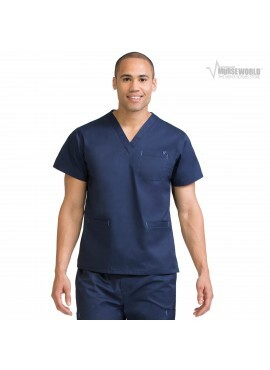 The Med Couture MC2 Men's 3 Pocket Top 8471 features EZ-Flex Fabric! This is the perfect top for the man who wants a classic look with a modern fit and feel. E=MC2 A Body In Motion Stays In Motion. Med Couture's EZ-Flex fabric with a touch of Spandex for added comfort allows you to move freely throughout your workday. Extra hidden pockets are added for storage and to tuck away gadgets. Stylish and flattering silhouettes are always polished off with embroidery details. Med Couture® is more than a brand; it's a lifestyle...Embark on the journey. 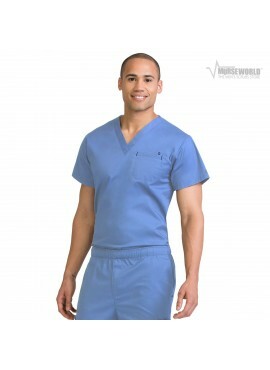 The Med Couture MC2 Men's Tuck In Top features EZ-Flex Fabric! This is the perfect top for the man who wants a classic look with a modern fit and feel. 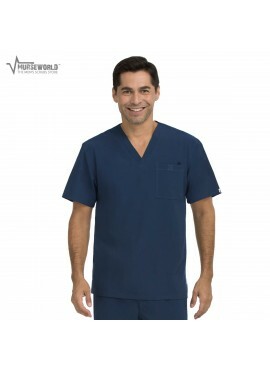 Med Couture's EZ-Flex fabric with a touch of Spandex for added comfort allows you to move freely throughout your workday. Stylish and flattering silhouettes are always polished off with embroidery details.